Monsoon and good food are synonymous to each other. From sweet treats to spicy delicacies, there is a wide variety of foods that act as a comfort food during the long-drawn monsoon months. In this rainy weather, the joy of slurping on something hot and flavourful is above all. One such comfort food that can help you deal with those cravings and eat your way to happiness is the delectable combination of rasam papad. Yes, you read that right. Picture this: You’re sitting at home with a bowl of piping hot rasam in one hand and crispy fried papad in another. Each sip of hot and flavourful rasam is sure to make you crave for more. If you wish to add warmth to your soul on a rainy day, rasam papad will surely come to your rescue. Derived from the word ‘rasa’ that means extract or juice, rasam is a south Indian speciality that is tangy in flavour. Not only it is immensely soothing and delicious, but is also loaded with health benefiting properties as well. This is primarily because of the ingredients that are used in the making of this delight. 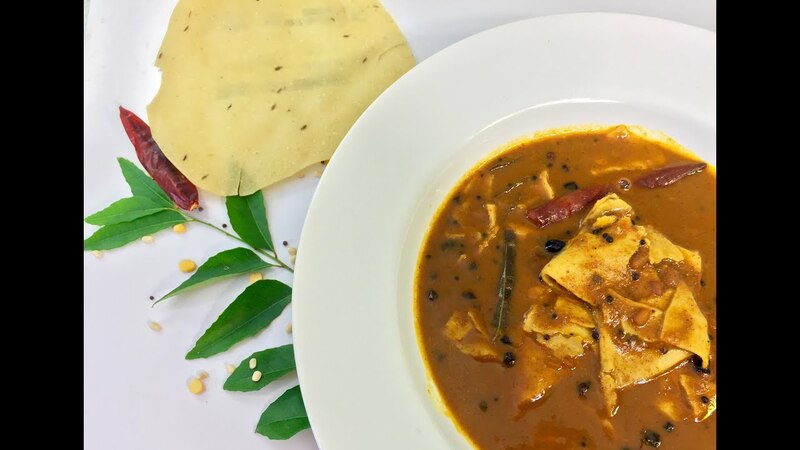 Made with tomatoes, red chillies, pepper, garlic, lentils, cumin powder and a melange of spices, rasam is usually savoured with papad that are fried to perfection. What increases the health quotient of this dish is the presence of lentils in it as they are an excellent source of protein. This curry/soup has a tamarind base and can be paired with plain white rice. Although, there are a lot of varieties of rasam, the most basic and soothing remains to be the tomato rasam, which is made using tomato pulp, tamarind puree and rasam powder. Rasam can also help you keep constipation at bay as it has an interesting blend of spices, including black pepper, which is said to be good for digestion. Curry leaves add a nice piquant aroma and flavour to the delight. If you’re preparing rasam at home, you can give the traditional recipe a spin by experimenting with ingredients. Instant papad are now easily available in the market; you just need to deep fry them in hot oil and you’re done. If you want a healthier version of papad, you can roast them. So, the next time you crave for something comforting and delicious, you can count on rasam papad and make the most of the monsoon season.